I really enjoy getting together for our whisky club meets as good conversation and good whisky flows freely, and this time was no exception. As it was my turn to host the club I wanted to bring some interesting whiskies to the table and, thanks to friends and family passing through duty-free on their return from overseas, I did! 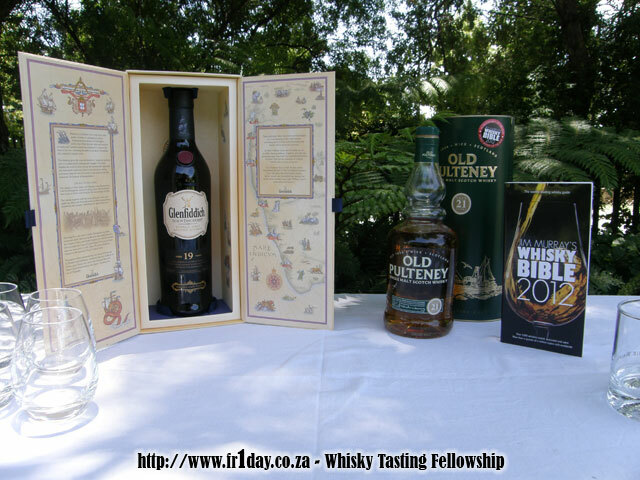 The two whiskies in question were Jim Murray’s 2012 Whisky of the Year – Old Pultney 21 year old – and Glenfiddich’s Age of Discovery Madeira Cask Finish. Admittedly, I didn’t plan on opening the Glenfiddich as I was looking to hold onto it for a while but after a bit of encouragement from no less than two Glenfiddich brand ambassadors in the form of Jaime Milne and Mitch Bechard I decided “What the hell, whisky is meant to be enjoyed!” and set it out for the tasting. 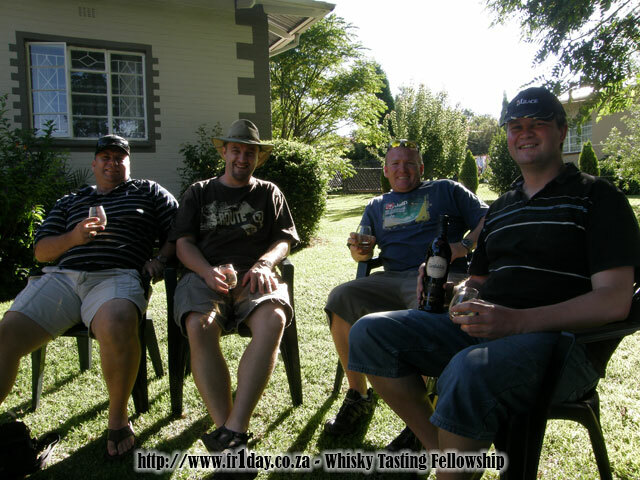 When the Modderfontein Whisky Club gets together for a meet we more often than not bring our families along too since we’re all friends first and members second. The families all get along well and there is the added bonus that we have designated drivers (in the form of our wives) to drive us home at the end – even if we live less than a kilometre apart! As per the norm, the other guys brought along a bottle of whisky that they wanted to share at the tasting. Ryan brought along his Bruichladdich Classic Edition 1, Colin a Chivas Regal 12 and Darryl a bottle of Jameson, not for the tasting but for me. Thanks Darryl! 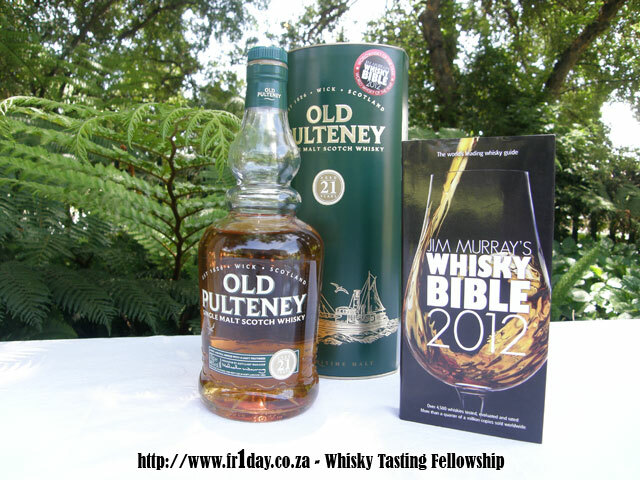 We kicked off proceedings by tasting “The World’s Best Whisky” – according to Jim Murray in his 2012 Whisky Bible that is – the Old Pultney 21. A great start it was too. A full-bodied, sweet nose. Oak, cinnamon, vanilla and dry fruits on the palate and a slightly dry finish with the subtlest of hints of maritime air. Leaving it in the glass for a while helps draw out some more of the hidden aromas. And be careful of adding water to this one. While it is a very good whisky, it wouldn’t crack even my top 10 whisky list, but then again our palates and preferences all differ hence the wonderful variety of whiskies available today! Next, was a bottle of Chivas Regal 12 that has been sitting in the back of Colin’s cupboard for a while. I actually think that just about everyone with a passing interest in whisky has a bottle of Chivas in their cupboard. Most likely a prize won at a golf day, or a Christmas present from a supplier at work, or in my case, a present from the in-laws for my birthday. Colin couldn’t remember what like so he brought it along to try. As a daily drinker, you can’t really go wrong with the Chivas 12. It has all the classic traits of a premium blended whisky: smooth, round and full bodied. This is the whisky that my father and his peers sought out in their day and I don’t think it has changed much over the years at all. But then again, why change something that works? Then it was time to move onto Ryan’s offering – the Bruichladdich Laddie Classic Edition 1. Jim McEwan’s deft hand has produced this classic – a testament to Bruichladdich’s floral and elegant style. An assortment of different vintages matured in American Oak casks and the use of unpeated barley delivers a complex dram with a mix of fruit salad, pepper and spices, a salty tang and what to me seemed like a slightly young whisky. An interesting dram this one. I’ve tasted it on a couple of occassions and have had different impressions each time. A couple of the guys scoffed at the baby blue ceramic bottle, but that all ended once they had tasted the contents of said bottle. At this stage of the afternoon (and possibly the influence of three rather generous drams already), my enthusiasm for sharing great whiskies got the better of me and I went inside to bring out two jewels in my small gathering (I can’t call it a collection as it’s there to be drunk and enjoyed) of whiskies – the Redbreast 12 Cask Strength and Ardbeg Uigedal. I keenly observed my friends as they tasted their Redbreast, knowing just how powerful, complex and downright awesome this fine whiskey is! Their reactions didn’t disappoint. The first thing that got to them was the high ABV of 57.7% (which is displayed prominently on the packaging. Consider it fair warning!). The next sip was done with a healthy respect for what they were tasting, and more attention was paid to the flavours in the glass. For a far more eloquent description of what one experiences when drinking this, I point you to tasting notes of the Redbreast 12 Cask Strength on The Whisky Exchange blog and The Whisky Wire websites. Both are well worth the read. 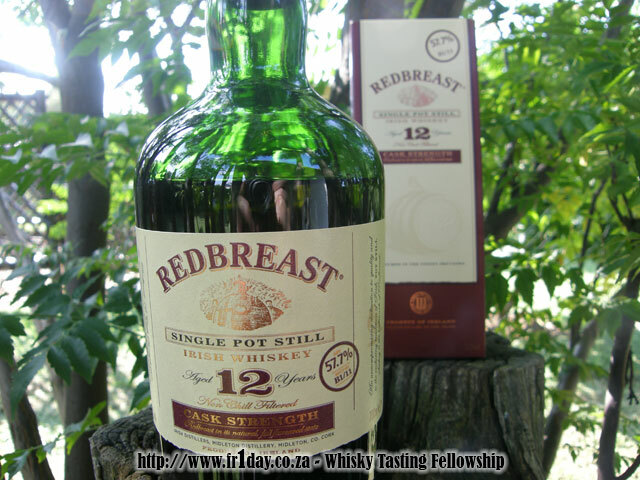 If you are even remotely into your Irish whiskeys, or are simply in search of a whiskey that can stand tall and proud alongside your favourites, you cannot – you will not – go wrong by getting of bottle of Redbreast 12 Cask Strength. There, I’ve said it. Now, the spotlight fell on the other featured whisky of the tasting – the Glenfiddich Age of Discovery Madeira Cask Finish. Brilliant packaging, an elegant black glass bottle, and a nice nod to explorers of old – Glenfiddich’s spin doctors really know how to put together a good story around a good whisky. You just need to look at the Glenfiddich Snow Phoenix for proof of that. 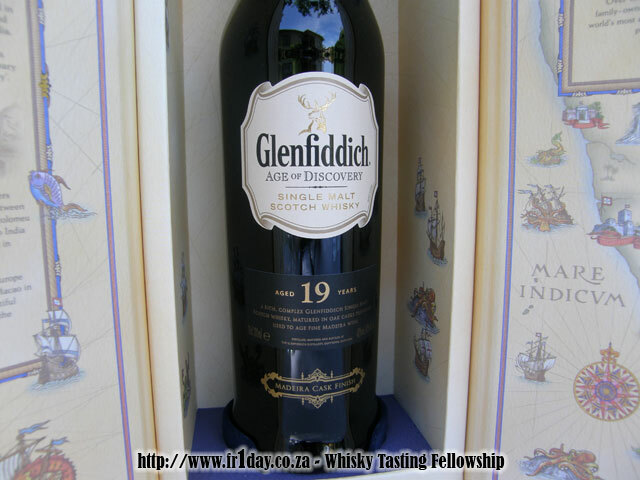 The tasting notes on the front of the box sum up pretty nicely what one can expect from this dram: “A rich, complex Glenfiddich Single Malt Scotch Whisky, matured in oak casks previously useds to age find Madeira wine. It has aromas of ripe figs, caramelised fruit & spicy notes of cinnamon & black pepper.” And it delivers as promised. The wine influence from the Madeira casks is unmissable. I do feel however that this whisky needed a bit more punch – 40% ABV is just too low for a bottling like this. The other members of the club disagreed with me however and had heaps of praise for this whisky. Colin, who generally sticks to his Irish whiskeys, held out his glass immediately after finishing his dram and asked for another – the first time I’ve ever seen him do that. The rest of the club followed suit, and a couple of guys even had a third dram later to wind down the afternoon. The good news for those looking for a bottle is that although it is currently only available in duty-free, I believe it’s going to be available in the general retail market some time in 2012. So keep your eyes peeled. And the second release in the Age of Discovery series should be out this year too. I’ve heard a bit about it but won’t reveal anything just yet as I don’t want to spoil the launch for Glenfiddich. With Darryl and Colin nose deep in their second glass of the Glenfiddich, I turned to my fellow peat-lover Ryan and gave him a wink. The time had arrived to share my prized Ardbeg Uigedail with someone who could appreciate it and not recoil in disgust (Heathens!) at the sweet sherry-laced smoke billowing out of the glass. I might, or might not have, poured us each a double (depending on if our wives were asking the question) and we settled in to enjoy this Ardbegian delight. The ocassional glance across at each other, the unspoken acknowledgment of “Yeah, I know exactly what you’re tasting – isn’t it great?” was all there. What a brilliant way to finish off a brilliant afternoon. you liked the 19 so much? IMHO it’s good, yet not great. OP 21 is lovely, but i prefer OP 17.
and u know the Uggy is my #1 dram. I’ve never had the Old Pultney 21yo, but I do have the 17yo at home, and it really is quite something! Subtle but complex. And very affordable – got mine for R350. That Redbreast sounds intriguing!